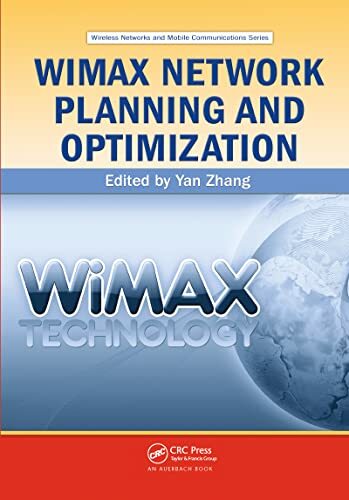 [PDF] WiMAX Network Planning and Optimization | Free eBooks Download - EBOOKEE! Posted on 2018-01-19, by luongquocchinh. Description: This book offers a comprehensive explanation on how to dimension, plan, and optimize WiMAX networks. The first part of the text introduces WiMAX networks architecture, physical layer, standard, protocols, security mechanisms, and highly related radio access technologies. It covers system framework, topology, capacity, mobility management, handoff management, congestion control, medium access control (MAC), scheduling, Quality of Service (QoS), and WiMAX mesh networks and security. Enabling easy understanding of key concepts and technologies, the second part presents practical examples and illustrative figures to explain planning techniques and optimization algorithms. 2018-01-29[PDF] Radio Network Planning and Optimisation for UMTS. No comments for "[PDF] WiMAX Network Planning and Optimization".